I'm going off the grid. I'm giving up Facebook until after the inauguration, and I'm not turning on the news. My replacement I-phone is stuck on a truck in an ice storm in the gorge. I can't text until it is delivered. I'm worn down, and I want to live in the real world with my intelligent, compassionate, humane friends. I believe that people are innately good and kind, but on social media I've seen too little of that lately. The results of the presidential election stunned me. The cabinet appointments appalled me. The promises to move back on climate change, health care, immigration, reproductive rights, and so many other issues of importance frightened me. I admit I've cried. It feels like the sun has gone down and there is no promise of morning. Social media has not helped. The vehicle that let me reconnect with old friends, keep in touch with former co-workers after I retired, and even find a sister given up for adoption has also beaten me down. The gloating, gleeful posts of Trump supports who will close Planned Parenthood and deny women access to reproductive health care, register Muslims like Nazi lackeys, dismantle the public education system, and deny refugees safe haven has made me anxious for the future of our country. Several weeks ago I decided to participate in the Women's March in Portland. I asked a friend on Facebook if she wanted to go with me. I didn't expect a positive response because we are political opposites, but we can usually have a conversation without disrespect. 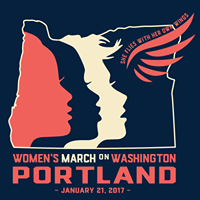 Jann Rayner Tresham Ginger Walker Linkel, I'm going to the women's march in Portland on Saturday...want to march with us? Chad N. Linkel Wish I was there. I'd love to beat the livin snot out of a flag burner. Jann Rayner Tresham ...and that is why women are marching. We are not going back to a time where white males could "beat the (sic) livin snot" out of them. This has nothing to do with flags and we're not burning them...although it is constitutionally protected speech. Chad N. Linkel Thats about what I expected you to say. Don't hurt yourself when you fall off your high 🐎. Ginger Walker Linkel Chad.... this is a friend. I respect and admire her, despite our differing opinions. Asking you to do the same out of respect for me. Chad N. Linkel Ugh. Fine. Ginger Walker Linkel Thank you, sweetie. Ginger Walker Linkel And that is a small part of what I love about you. ...and that was a relatively mild conversation on Facebook compared to some I have seen. I'm tired of the hate, the ignorance, the attitude that now those of us who speak up will be made to pay. I will be walking at the Women's March with my college roommate. I am walking because I want to see hundreds, maybe thousands, of women who believe in equality for all: women who will stand, be counted, and not be intimidated. I don't want to go back to the era where my friends were afraid to step out of the closet, where women died at the hands of back alley butchers, where people with disabilities could not attend school. I need to physically see that those people are out there. 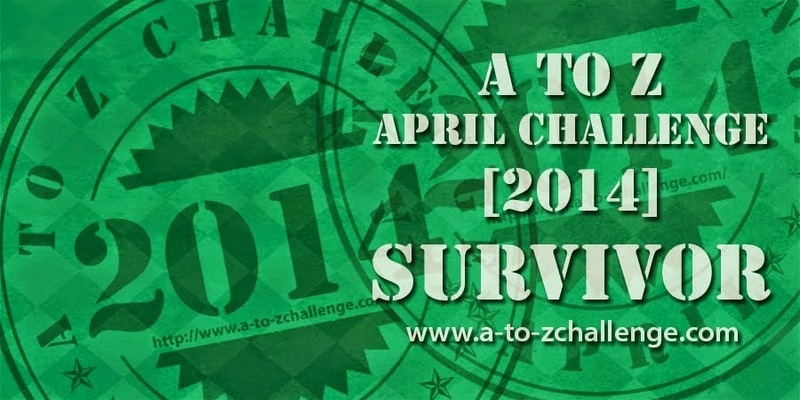 I am walking to be counted, but I am also walking for myself...I need hope for the future. I don't want to be alone. Hey, Jann, you've found your sister! What are you going to do next? Stacey and I had texted throughout my five hour drive from Seattle to Hermiston. I had stopped at every rest area to text. I was physically and emotionally exhausted when I got home to Oregon. In her home, Stacey was tired too. She hadn't gone to work that Monday morning because she was ill. (Another way the universe conspired for us to find each other. If she hadn't been home, she wouldn't have received the phone call from the search angel.) By 7:00 PM she was ready for bed and texted me that we could talk the next day. I tried to coherently tell the story to the spouse. I was a roller coaster of emotions and the spouse was smart enough to leave me alone and let me work through it. I woke up on Tuesday thinking about Stacey...and texting with Stacey is about all I did that day. I didn't want to bother her at work, but she texted between students and at lunch. Finally, that evening we spoke on the phone. The spouse fended for himself for dinner. Stacey and I talked for for almost two hours. We have a lot of things in common. We have a lot of years to catch up on. In late October I went to Greece to volunteer at the Oinofyta Refugee Camp. I had limited access to wifi and no phone. Stacy and I communicated a few times through Facebook. This week Stacey is at a retreat and she's the one without phone and wifi. This is the last "Baby" post I will make until after Thanksgiving. The spouse and I are leaving Sunday to spend the holiday with our grandchildren. When I booked our flights several months ago, our return trip on the Friday after Thanksgiving was routed through Los Angeles. As many times as I've flown in and out of Austin in the past eight years, this is the first time I've been routed through LA. Everything happens for a reason, and sometimes the stars align to open up possibilities. Stacey lives near Los Angeles. I'm getting off the plane in LA and Stacey and her boyfriend will pick me up at the airport. We're going to spend the weekend with our brothers in San Diego. I hope there will be pictures that I can share when I return. I have much to be thankful for this Thanksgiving. Thank you all for your supportive comments as I shared our journey of discovery. In hind sight I realize that I had not thought through the possible consequences of searching for my sister. It all happened so fast. I hadn't consulted with other family members. I was searching for MY sister...with the emphasis on my. I envisioned a joyful reunion and a happy ever after. I still hope that is the outcome of our story, but I also know that our family dynamic is forever changed. We can't change the past, but I hope we can go forward and build relationships. I'm trusting that love will win. This is the one where I find my sister! If you haven't read Part 1, Part 2, Part 3, or Part 4, you might want to click on each of the links above and start at the beginning. I had started searching for my sister with no expectations. I didn't feel any stress about the process until we started to get results. Once I saw her birth record, she was real to me, not just an abstract idea. Sunday afternoon I got a phone call from Judy, a "search angel" volunteer for the Find My Family Adoption Registry. She asked if I would like her to help search. "At no cost to you," she said. I gratefully accepted her offer of assistance. That evening my blogging friends, the Vashonistas, and I watched the second presidential debate. The next morning we had one final writing session and then it was time to say goodbye. I had a ferry ride and a five hour drive ahead of me. I stopped at the local Vashon supermarket to load up on snacks for the journey. This is where I was standing when my phone rang and Judy, the search angel, said "I found your sister. I've talked to her. I need your permission to share your contact information with her." The tears started rolling down my face. "Her name is Stacey. She knew she was adopted and she would like to contact you." I don't remember a lot of the conversation, but I must have gotten some strange looks from other shoppers as I paced back and forth in front of the candy display, tears flowing freely, saying "Oh my God, Oh my God. I can't believe it!" I sat for awhile in the parking lot absorbing the knowledge that my sister had been found. Her name is Stacey. I called my dad and told him. I don't know why he was my first call because he's not related to her, but he had made the search possible by sharing information...long held secrets, with me. I texted my brothers. My youngest brother, Ross, replied "I think you have the wrong number," and then "What sister?" I had forgotten he didn't know anything about "the baby." I had told Judy, the search angel, that I was driving home for the next five hours and I wouldn't be able to text so I would contact Stacey when I got home. I was sitting in my car on the ferry to Seattle when I got a Facebook friend request from Stacey. I accepted and immediately started crying again. I stalked her Facebook page...and then she messaged me. So relieved you're a Hillary supporter. I had a thought, "what if she's one of the deplorable?" That would have been hard! Not texting while driving, still on the ferry! ...and I cried some more. It was a slow drive home. I stopped at every rest area between Seattle and Hermiston to read and respond to her texts. I have a sister and her name is Stacey. Saturday night, October 8, 2016, clad in our pajamas, my friend Linda and I sat on her bed with our laptops and started to search for my sister. We knew she was born in California and we knew her birth mother's name. We guessed that she was born between 1960 and 1962. Not much to go on. Adoption search websites inform users that finding family members who have been adopted is challenging. "The search can take years," they warn, "and don't always have happy endings." Linda found my sister's original birth record on the California Birth Index. We had been searching for forty-five minutes! I expected to see my mother's name, but was surprised that my father was also listed. She was not given a first name. She was born in the summer of 1961, three months before I turned 11. I really had a sister! While it was exciting to find the birth record, the only information it provided that we didn't already have was her birthdate. Linda and I started searching other adoption databases. "We need more information," said Linda. "You have to talk to your dad and see if you can get the hospital, the doctor, and the attorney names." It was close to midnight and I wasn't going to call my 90 year old father in the middle of the night. He didn't know I was searching. No one knew I was searching except my blogging friends, who, except for Linda and I, were fast asleep. I called my father in the morning. He couldn't remember the hospital name but thought it was run by some religion...maybe Adventist, he said. He knew the hospital was in Van Nuys and remembered the intersection to turn to the hospital. He also knew both the doctor's and attorney's last names. My dad worked with the attorney's father, Al. Linda was encouraging and thought my sister would be easy to find. "It was a private adoption," she said, "the baby probably went to a friend of the attorney." Linda suggested that I register on adoption search sites. The internet is a powerful tool. I searched for adoption registries and found Find My Family Adoption Registry. I entered all the information I had discovered and my contact numbers and with the push of a button my search was registered. 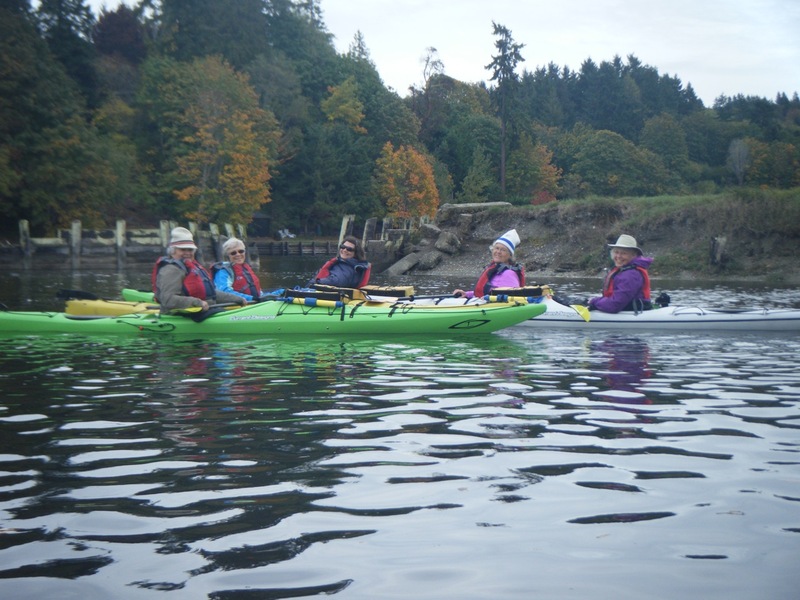 Then we all went kayaking. Long time readers of this blog know that once a year I meet with a small group of women bloggers who I met online through our blogs. Three years ago I shared with them the story of my "lost" sibling. Several of these friends have their own adoption stories. "Are you going to search for your sibling?" they asked. I told them I didn't know, but in my heart I knew that eventually I would search. I told them I needed to talk to my dad first. A year passed and I finally gathered up a pile of unidentified photos that I had saved from my mother's estate. I hauled them back to California and on a sunny San Diego day my brother, Leigh, with his own pile of unidentified photos, and I sat down with our father to go through them. We spent a lovely morning hearing him tell stories. His memory is sharp and he filled in a lot of blanks and shared new tales of family history. In late afternoon we had come to the end of our stacks of photos. I took a deep breath and said, "Dad, what we really want to know about is the baby." He knew right away what I was asking and said, "You know I apologized to your mother. We had decided that we wanted to try to keep our marriage together for you three kids. I felt that I wouldn't be able to accept the baby. It would be a constant reminder to me. I was wrong and I told your mother that later. Babies make their own love. You love them for who they are." My mother had an affair. They gave up the baby to try to save their marriage. I told my father what I remembered of the day the baby was born and he said, "It wasn't a boy; it was a girl." I went home to Oregon the next day. I thought about the sister that I had always wanted to have. I knew I would find her some day and I tucked away the story thinking I'd save it for when I started searching. This October I went back to Vashon Island to meet with my blogging friends for our annual writing retreat. The topic of adoption came up in conversation and my friend Linda said, "I'll help you search for her if you want." That very evening, while the other three bloggers slept, Linda and I sat in our pajamas on her bed with our laptops and started the search. The search had started...more of the story is coming on Friday and Saturday. Get out your kleenex. It's a tear jerker! I first wrote this story four years ago, but I never shared it on my blog. It is a secret that I held for too long to let it go easily. Now is the time to tell it. I grew up in Southern California in a neighborhood of three bedroom, two bath single family homes in the foothills of the San Fernando Valley. We didn't have attics, basements, or barns in our ranch-style homes, but we had good neighbors and lots of kids to play with on those long, hot and sunny summer days. I was a reader and the stories of my childhood were of daring youth who explored attics or abandoned buildings and found interesting clues that led them to adventure and sometimes danger. I spent a lot of unsupervised time at home. I did a lot of exploring. While we didn't have an attic or barn, there were closets and cupboards to survey and investigate. I found a shoebox of letters and documents hidden in my mother's closet. I read the letters. I remember going back on several occasions to reread because I kept thinking that I must have misunderstood what I had read. Every time I read the documents I understood the same thing...my mother had given up a baby for adoption. My mother died almost 10 years ago. I never asked her about what I had found. Years ago I told my brother, Leigh what I had read. He didn't remember anything about it. Two years ago I finally talked to my father about what I remembered about "the baby," and he told me the rest of the story. Later this week I'll share the story with you. I wrote this story four years ago but never shared it on my blog. It was a secret I had held for too long to let it go. Now is the time to tell it. Memories can be patchy. Some incidents are clear and detailed, others are fragmented and cloudy. Sometimes it is difficult to sort out what is an actual memory and what is the result of hearing a family story told over and over. At family gatherings my adult children sometimes relate stories that are far from my recollection of the same incident. We have shared memories, but our perspectives are different. The same is true of my childhood memories. When I get together with my brothers, someone always starts a conversation “Remember the time…” and together our collective memory can fill in all the details. There’s one story we’ve never talked about. It was the summer before sixth grade. I was 10 years old. My brother, Leigh, was about to turn 9 and was going into fourth grade. My youngest brother was almost 4. My mother was pregnant. We didn’t have baby things. There was no crib and no baby clothes or stockpile of diapers. I remember telling my mother that she could have my baby doll’s clothes for the new baby and she told me that she didn’t need them. The neighbors held a shower for her and bought her a stroller. One afternoon my mother walked through the kitchen with a towel between her legs. “My water broke” she told me. I had no idea what this meant. She and my father left for the hospital. Later that afternoon I answered the phone. I remember the call because I spoke to “the marine operator.” Back in the days of rotary dial phones and party lines, a long distance call was an event, a ship to shore call was unheard of. It was an attorney calling and I told him my mother had gone to the hospital. Late that night I heard my father come home. I got out of bed and met him in the dark hallway. Standing in front of the linen closet by the bathroom door, I was excited to hear the news of the new baby. I remember the conversation. “The baby died” my father said. Later we went to the hospital to visit my mother. I had expected to go to Holy Cross Hospital not far from our house, but instead we went to a small one story building in Van Nuys and stood outside a window to talk to my mother. I don’t remember any of the conversation. She came home several days later. The baby was never mentioned again. I don’t know what happened to the stroller either. I'm retired. That's why I have time to blog...and why I have a smile on my face. 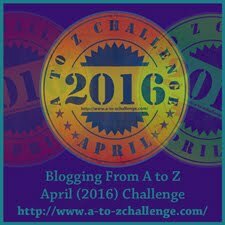 A to Z Challenge 2016: S and T are for Stop Thief!